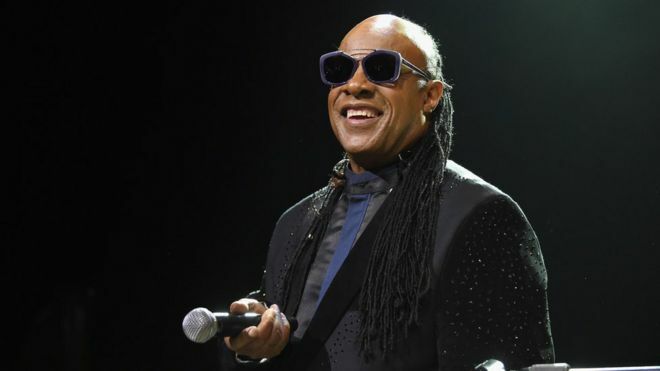 Stevie Wonder has sung to US First Lady Michelle Obama, changing the words to two of his songs in tribute to her as she prepares to leave the White House. 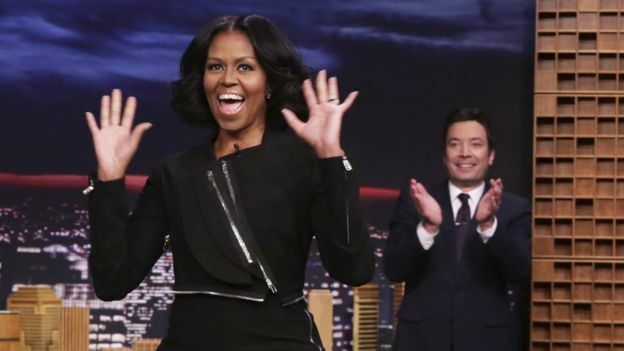 Mrs Obama made her last late-night TV appearance as first lady on Jimmy Fallon’s NBC show on Wednesday. She has said Wonder is her favourite singer, and he was brought on to serenade her on Fallon’s Tonight Show. He sang Isn’t She Lovely and My Cherie Amour, changing the words to “My Michelle Amour”. He also changed other lyrics in the song, with “How I wish that you were mine” becoming “You’ll always be first lady in our life”. Mrs Obama has been in the White House with her husband Barack for eight years. Incoming President Donald Trump will be inaugurated on 20 January. During the programme, Mrs Obama also played Catchphrase with comedians Dave Chapelle and Jerry Seinfeld, and surprised members of the public who were recording farewell messages to her. 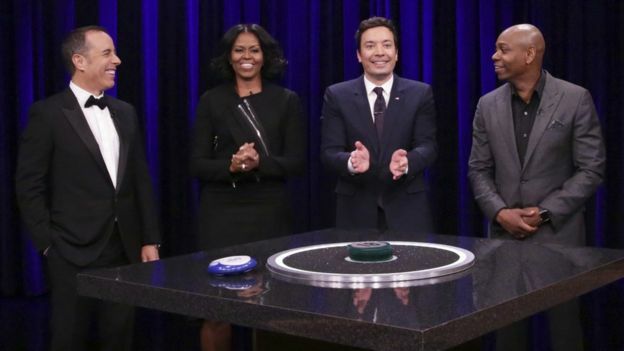 Mrs Obama has been a regular visitor to The Tonight Show and the host’s previous programme Late Night with Jimmy Fallon. Questo articolo è stato pubblicato in Senza categoria da andreaorselli . Aggiungi il permalink ai segnalibri.